He carries out research on application of bacterial cellulose in medicine at the Institute of Technical Biochemistry, headed by Professor Stanislaw Bielecki. Bacterial cellulose is produced by Acetobacter xylinum. The bacteria form an elastic membrane that resembles highly hydrated swollen skin. 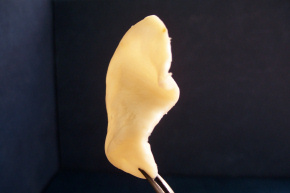 The shape of the membrane can be adapted to personal needs and depends on specific requirements and time of production process. 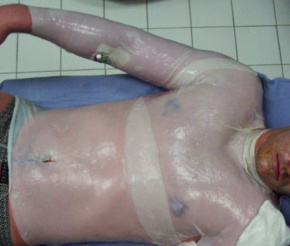 The membrane, after purification and sterilization, can be used as wound healing dressings for treatment extensive burn wounds. Due to hydrophilic nature of the membrane, wounds can be cured faster without scar formation. Another application of bacterial cellulose is hernia treatment. The cellulose membrane can be design to fulfill requirements typical of implantation into human body. High compatibility of cellulose membrane allows using it as a substitute of blood vessels or support of disrupted nerves. Finally, experiments on modification of bacterial cellulose have lead to construction of cartilages that can be useful for reconstruction of nasal septum or auricle as well as trachea walls. Fiedor P., Kołodziejczyk M., Fesołowicz S., Rosiak J.M., Sabat M.
Wichman R., Kuzdak K., Kołodziejczyk M., Rosiak J.M., Pietrzak M.
Kozicki M., Kołodziejczyk M., Filipczak K., Ulański P., Janik I., Rosiak J.M.